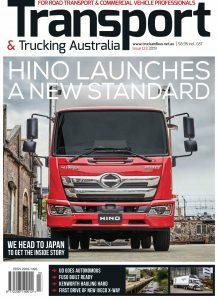 There is a trend amongst the three leading truck sellers in Australia – the three Japanese brands, Isuzu, Hino and Fuso – to provide at least a proportion of their customers with ready to work trucks, already built and fitted with a working body or tray that enables the buyer to put the truck straight to work. No waiting for months while a body builder fits the body you require to a cab chassis truck. The three volume sellers of light and medium duty trucks are pretty committed to the concept and Fuso is the latest to update its range of ‘Built Ready’ ready to work models after announcing some initiatives back in May. Fuso gave the truck media the chance to sample the latest line-up of ready to work trucks in the National Capital last week. There’s a number of advantages in the Built Ready concept, particularly for first time truck buyers and small fleets with the customer buying the whole truck, body and all as a complete unit, one warranty, one point of contact with the dealer and no surprises when the truck goes into service. The other big plus is the fact that the customer can choose the exact body/configuration they need and view the truck before they buy it, no waiting to see if the body builder’s ideas are the same as theirs and no surprises. Customers in this part of the truck market are often not used to buying trucks, many are stepping up from car based light commercials and they are used to rolling up to the dealer and saying “I’ll have that one!”The idea of waiting for weeks, if they’re lucky, for their truck to have a body fitted is a foreign concept. Dealers seem to have embraced it from what we gather. It is easier for them as well, neater and tidier and a lot more simple in selling the product as a complete working unit. There are eight different models in the Fuso Built Ready range with pantechs, curtain siders tray backs, tippers and even a fridge truck. The range spans both the Canter and Fighter line-ups with three curtain sides, and a factory tipper in the larger Fighter models. Amongst the Canters there is a narrow body tipper, a wide body tipper, two tray backs, a pantech and the aforementioned fridge unit. Fuso’s Australian director Justin Whitford says the program is about making it easier for customers to do business. “We have developed the Built Ready range to cover a wide range of applications and we have been working on this program for quite some time because we wanted to get it right,” Mr Whitford added. 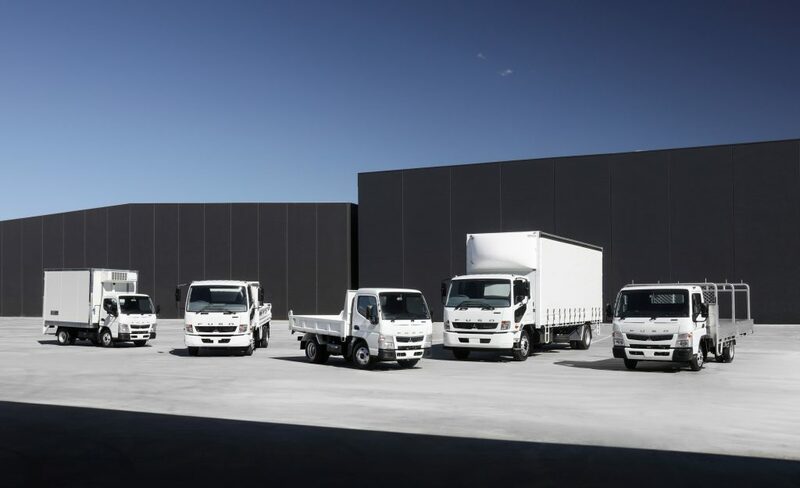 Most of the Built Ready bodies are sourced locally in Australia and fitted after the trucks arrive from Japan but before they go to the dealers. The exceptions however are the tippers, which are sourced straight from Japan. In regards to the tippers the two Canter models include a six tonne GVM 615 City – which is the narrow cab and is apparently a real boon for landscapers and builders needing to access narrow sites to tip a load of soil or pick up material – and the 7.5 tonne GVM 815 with the Wide Cab. With the Fighter Tipper The Built Ready range includes two Canter tippers: a six-tonnes-GVM 615 City model with a standard cab and a 7.5-tonnes-GVM 815 Wide Cab. The Fighter factory-built tipper is powered by the 240 hp engine and boasts a GVM of 11 tonnes. The tippers run steel springs and feature I-beam front axle while they also feature an Limited Slip Differential as standard equipment to deliver better traction on slippery sites while all can be ordered with either the two pedal Duonic AMT or the manual gearbox, while both the Canters can be specced with a lower 4.5 tonne GVM to make them legal to drive on a car licence while retaining a pretty good payload thanks to the low tare of the Canter and its factory tipper body. Apart from the tippers there are two Canter aluminium-tray models, the 515 City Cab and the 515 Wide Cab both fitted with alloy trays featuring a four-tonne-capacity floor and 290mm-high drop sides, while the City Cab boasts a removable rear pipe rack and the Wide Cab has removable centre and rear racks as well as centre-split drop sides. The pantech fitted to the Canter 515 Wide Cab features an aluminium roof and can be ordered as either a 20mm-thick fibreglass reinforced plastic panel body or a lightweight honeycomb fibreglass construction unit. The bodies both have steel checker-plate floors, LED lighting and a Dhollandia cargo lift while the little Canter 515 City Cab refrigerated-body model comes with a Thermo King v500max fridge unit with styrene sandwich panel construction walls, front and roof and can operate as a chiller or a freezer, down to -20 degrees C.
The Fighter curtain-side models can be ordered with a choice of 10, 12 or 14 pallet bodies on either a two- or three-axle chassis. The curtain sides have integrated aero nose cones, LED lighting chequer plate flooring, lift out hanging gates and white curtains. We had the chance to drive just about all the trucks in the range during the one-day exercise around Canberra with all the vehicles carrying a full load up to GVM to ensure a strong test. There were a mix of manual and Duonic AMT models on the drive and both worked nicely on the mixture of city and suburban roads as well as some decent hillclimbing and descents and some semi rural country roads on Canberra’s fringe. Increasingly autos and AMTs are the buyers choice and you can understand why. They are fuss free, do the job well and slow the trucks well with combination of the exhaust brake and programmed downshifting progressively increasing the revs and exhaust brake when descending. We drove the Fighter 10 pallet but did not get a crack at the 14 pallet truck. The 10 pallet used the six speed manual, which was an easy gearbox to use and as smooth as silk to shift but you can well understand why autos are the choice these days. The 14-pallet test truck was fitted with the Allison six speed auto and all reports are that was an even better option. In an era of instant gratification Fuso’s Built Ready range we feel sure will be embrace by the truck buyers at the lower end of the market. It’s a good line up that covers most of the bases and Fuso has clearly done its home work. At the very least it will make life easier for buyers and operators as well as dealers.